Based on the above facts and further analysis in our trip report, we urge you to extend the TPS designation for Honduras and El Salvador, pursuant to Section 244(b) of the Immigration and Nationality Act, until individuals’ return and reintegration to the two countries can be safely accomplished. This will allow Hondurans and Salvadorans to continue to legally work, contribute to U.S. communities in an authorized capacity, and maintain safe, stable lives, and human dignity for their families, many of which include U.S. citizens. We ask you to show compassion and patience as Honduras and El Salvador continue to improve their citizen security and humanitarian capacity for reception, protection, and integration. Extension of the Designation of Honduras for Temporary Protected Status, 81 Fed. Reg. 30,331 (May 16, 2016). Extension of the Designation of El Salvador for Temporary Protected Status, 81 Fed. Reg. 44,645 (July 8, 2016). USCCB/MRS, Temporary Protected Status: A Vital Piece of the Central American Protection and Prosperity Puzzle (October 2017), available at http://www.usccb.org/about/migration-policy/fact-finding-mission-reports/upload/el-salvador-honduras-report-20171016.pdf. On Thursday, October 19th, we hosted a webinar on the upcoming National Migration Week. Below are the slides from the webinar as well as the webinar itself. For more information on #NMW2018 see our NMW webpage. WASHINGTON—The U.S. Conference of Catholic Bishops’ Office of Migration and Refugee Services (USCCB/MRS), released its report today, entitled Temporary Protected Status: A Vital Piece of the Central American Protection and Prosperity Puzzle recommending the U.S. government extend Temporary Protected Status (TPS) for El Salvador and Honduras. A delegation from MRS/USCCB traveled to Honduras and El Salvador, from August 13 to 19, 2017, to examine conditions in both countries regarding Honduras and El Salvador’s ability to adequately receive and integrate the possible return of existing TPS recipients. USCCB/MRS Committee Member, Auxiliary Bishop David O’Connell of Los Angeles, California, led the delegation and was accompanied by MRS staff from Children’s Services, Policy and Public Affairs, and the National Collections offices. Currently, El Salvador and Honduras have Temporary Protected Status (TPS) from the U.S. government for certain nationals living in the United States, and the review of TPS is shortly to be re-evaluated by the U.S. government. It is estimated that there are approximately 200,000 current TPS recipients from El Salvador and 57,000 TPS recipients from Honduras living in the United States. TPS recipients living in the United States are parents to over 270,000 U.S. citizen children and are very integrated into American daily life. Resources and information about Temporary Protected Status and the report are available on the Justice for Immigrants website www.justiceforimmigrants.org. 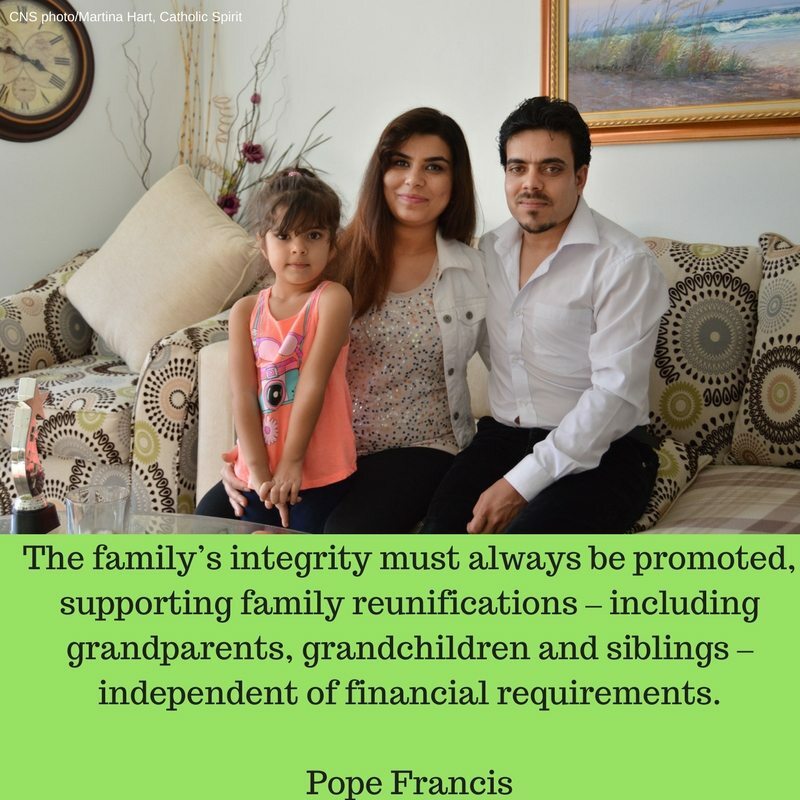 The information includes a backgrounder on the temporary protected status and a toolkit for Catholic leaders that offers ideas on how to show their support and solidarity with TPS recipients. The full text of the report can be found here: http://www.usccb.org/about/migration-policy/fact-finding-mission-reports/upload/el-salvador-honduras-report-20171016.pdf. Thank you Chairman Royce and Ranking Member Engel for this opportunity to provide this written testimony to the House Foreign Affairs Committee regarding the forced migration crisis in Burma. I submit it as the Chairman of the Committee on Migration of the United States Conference of Catholic Bishops (USCCB) so that we may join our voices with those of other Catholic leaders and others deeply concerned about the fate of these forgotten people. Our concern about these refugees fleeing from Burma, known as Rohingya, is rooted in Catholic social teaching on migration. Catholics believe that all human beings are created in God’s image, including migrants and refugees of all backgrounds. Pope Pius XII reaffirmed the Catholic Church’s commitment to care for pilgrims, aliens, exiles, refugees, and migrants of every kind, affirming that all peoples have the right to conditions worthy of human life and, if these conditions are not present, the right to migrate.1 Meanwhile, USCCB’s Migration and Refugee Services (USCCB/MRS) advocates to address the root causes for such poor conditions while also protecting those forced to migrate. 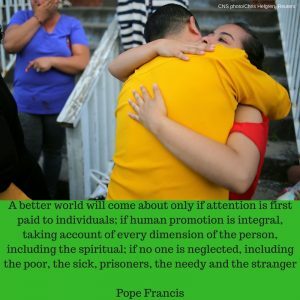 In our joint pastoral letter, Strangers No Longer: Together on the Journey of Hope, A Pastoral Letter Concerning Migration,” January 23, 2003, the U.S. and Mexican Catholic bishops call for nations to work toward a “globalization of solidarity.” In that document we affirm that “Refugees and asylum seekers should be afforded protection. Those who flee wars and persecution should be protected by the global community” No. 99. We also state that, “because of their heightened vulnerability, unaccompanied minors require special consideration and care” No. 82. As one of the U.S. resettlement agencies, USCCB/MRS has resettled thousands of refugees from Burma, including many Christians fleeing religious and ethnic persecution and also many Muslims fleeing the same, such as these from Rakhine State. In Appendix 1 attached to this testimony, we provide profiles of two such unaccompanied refugee minors who were resettled by us this year. The level of vulnerability experienced by these two children is similar to many others who are resettled to the United States. Refugees who need resettlement are frequently the most vulnerable, who have a difficult time surviving in neighboring host countries. They illustrate why it is so important for the U.S. to have a robust resettlement program – it saves lives. It is for the sake of children like these and other vulnerable refugees needing resettlement that we are disturbed and deeply disappointed by the recent setting of the Presidential Determination (PD) of refugee admissions for FY2018 at 45,000, the lowest PD in the history of the program. We urge this committee to advocate with a unified, bi-partisan voice to admit at least 75,000 refugees to the U.S. next year. We can and must do better. 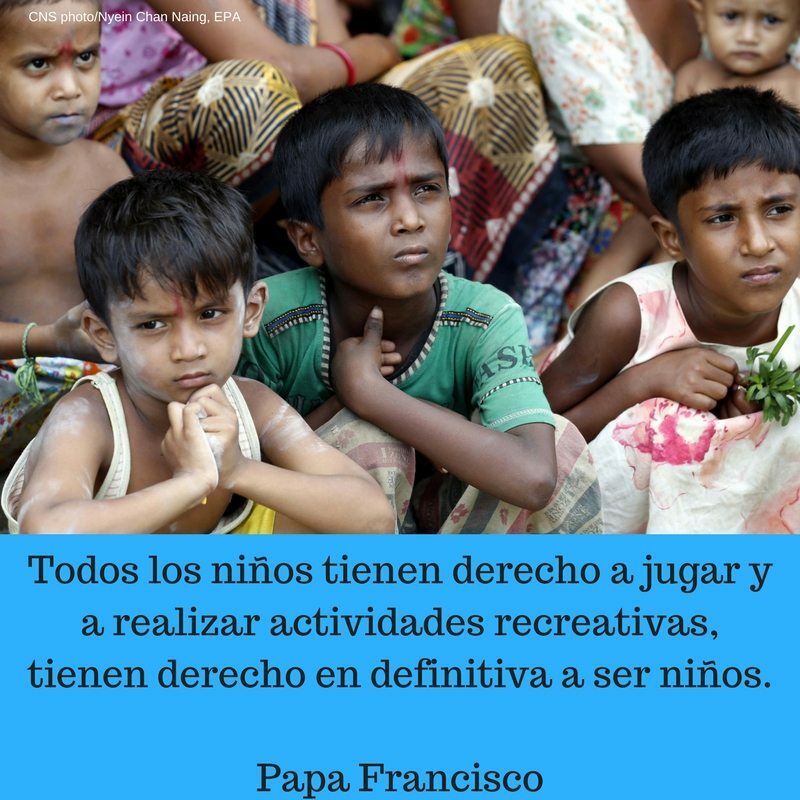 We have been in particularly close contact with Catholic leaders and NGOs in Burma for the last several years regarding the protracted refugee situation in the region. We have made two solidarity/assessment trips and have written a report and an update about the complex dynamics in which there are the hopes of a new democracy after decades of military rule, but also where there are continued protection challenges facing several hundred thousand forcibly displaced people inside Burma and also those from Burma who are seeking refuge in neighboring countries. have fled from Rakhine State, Burma, to Bangladesh since August 25, 2017.3 Most are women and children, and the most vulnerable are newborns, pregnant women, and the elderly. Many have only makeshift shelters at best, are struggling to find the mere basics of life, and are trying to avoid debilitating and life-threatening water-born and air-born diseases. They are all in our thoughts and prayers as the Catholic Church joins with others to mobilize in response to the horrific situation. One frustration for many has been that Daw Aung San Suu Kyi, the human rights icon and de facto democratic leader of Burma, has not been publicly very vocal about the plight of these Muslims from Rakhine State. Also, Christians and others have long been oppressed by the army of Burma in Kachin and Shan States. Despite these serious unresolved political and human rights situations, there continues to be strong efforts at positive change by the recently elected democratic government, the first after over 50 years of military rule. While the Burmese military still maintains substantial political and economic control, Daw Aung San Suu Kyi has managed to lead the effort on the so-called Panglong Process, whereby Burma’s ethnic groups have an ongoing process for seeking to build a federal, democratic system in which all of Burma’s people have access to shared governance and shared resources. As we shed light on the human rights tragedies in Burma, we urge continued U.S. support to resolve these critical situations and to support the democratically elected government in addressing these situations while also supporting their broader efforts to build a new, democratic, inclusive Burma. Before turning to recommendations, we share three sets of statements from other Catholic leaders. The first two are from Pope Francis and Cardinal Patrick D’Rozario, the Archbishop of Dhaka, Bangladesh, and they are particularly tied to this recent exodus from Rakhine State. The third, by Cardinal Charles Maung Bo, Archbishop of Yangon, speaking in February 2017, concerns other atrocities in Rakhine State, and concludes with remarks that continue to resonate with what we consider sound advice. to work for long term, communal peace and address the root causes for displacement and flight, including the widespread statelessness of the Rohingya and the lack of integral human development in Rakhine State. To support Bangladesh and other host countries in the region and to urge other nations to also share the responsibility of protecting those fleeing from Rakhine State. Mia. Mia is a 13-year-old girl born in Malaysia, the country to which her parents had fled. After her parents divorced, her mother got married and the stepfather sexually abused Mia. Although her mother was aware of the incidents, she failed to prevent and protect the child. The mother was arrested for committing child neglect and the child lived temporarily with her biological father. Later, the child moved to a protection home as she feared being re-victimized by her mother, who was released from prison. Reunification couldn’t be pursued as the mother was found to be abusive. Resettlement was the only option to help the child live a bright life. She was referred to the U.S. refugee admissions program and was resettled through the USCCB on 7/21/2017. Mio. Mio is a 14-year-old boy who lost both parents. The child fled to Malaysia in 2012 to escape forced labor. He had been forced by Burmese soldiers to do road construction for about six months before fleeing Myanmar. He lived for a short period of time with his uncle where he faced physical abuse. He then moved to live at a refugee organization office. While living in Malaysia, he was stopped and harassed by local police authorities several times and was told that if he remained there, he would continuously face harassment and/or arrest. Reunification with his grandmother couldn’t be pursued as the minor did not have any kind of contact information and attempts to find her had not been successful. Since he could not continue living in Malaysia due to these unfavorable conditions, the only available option was resettlement in a third country. He was accepted by the U.S refugee admissions program and was resettled through the USCCB foster care, arriving on 9/19/2017. 1 Pope Pius XII, Exsul Familia (On the Spiritual Care of Migrants), September, 1952. On Wendesday, October 4, with help from CLINIC, KIND and IRAP, we hosted a webinar on the Central American Minors (CAM) Program. Below are the slides and the full webinar.